This is hosted by Create with Joy and thought it may be fun to join in. I have posted the link above so you can check it out as well. This week’s question is what are your blogging goals? My goal for this blog is to try and become more creative with my reviews this year and to maybe include a few other bookish things. I want this to become a fun blog - not all business. What are your goals? Please share them as well as your blog with me. Synopsis: In this "energetic" (Kirkus Reviews) re-creation of Anne Boleyn's tragic life — and death — Robin Maxwell offers a pitch-perfect version of a bawdy and exuberant time filled with lust, betrayal, love, and murder. When the young Queen Elizabeth I is entrusted with Anne Boleyn's secret diary, she discovers a great deal about the much-maligned mother she never knew. And on learning the truth about her lascivious and despotic father, Henry VIII, she vows never to relinquish control to any man. But this avowal doesn't prevent Elizabeth from pursuing a torrid love affair with her horsemaster, Robin Dudley — described with near-shocking candor — as too are Anne's graphic trysts with a very persistent and lustful Henry. Blending a historian's attention to accuracy with a novelist's artful rendering, Maxwell weaves compelling descriptions of court life and devastating portraits of actual people into her naughty, page-turning tale. The result is a masterpiece of historical fiction — so prophetic of our time that one would think it were ripped from today's headlines. What I didn't like: This book started out a little slow for me and in parts a little dry. I think this was somewhat me and not used to reading something actually written in the time period it took place. This was not a bad thing as the author did such a good job of portraying Anne and writing as she would have written the journal that you felt like you were reading a true journal by Anne Boleyn. What I liked: I loved the subject of this book. Anne Boleyn is one of my favorite historical figures to read and learn more about. There are many things I did like and will touch on them in the whole review. Overall Impression: I enjoyed this book. The way Robin Maxwell brought together the memory of Anne to Elizabeth was very good. I also enjoyed the way that it switched back and forth between Elizabeth and Anne. There were many times I felt sorry for Elizabeth in her life and after reading this book I felt sorry for Anne as well. To me it seems she was actually a lonely person. This book actually taught me a few things I had not realized before which to me was a plus. I looked everywhere to find this version of the book because for one the cover appealed to me (yes I do pick some of my books by covers) and I wanted the extra things at the end of the book. The author's notes at the end of the book added a lot for me and made me want to look for more books by this author to learn more. I liked how she told how she came to write the book. Also the discussion questions at the end were nice even if you don't have anyone to share your answers with. If you are wanting to read a good book about Anne Boleyn this would be for you. I actually have two more books on my shelf by this author and can't wait to get to them. 4 Stars for me. Well here in Florida you can't really say we are in the depths of winter although it is supposed to get down in the 40s tonight, but I grew up in Nebraska and Kansas so I know just what all the rest of you are going through. When it is the holiday time I like to read books that have a holiday theme. Otherwise I sometimes try to read books set in the winter to remind me of what it was like to have a real winter. How about you? I would love to hear your answers. Thanks for stopping by. Source: Received from Bethany House for a fair and honest review. 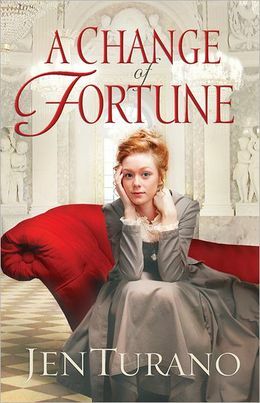 Synopsis: Lady Eliza Sumner is on a mission. 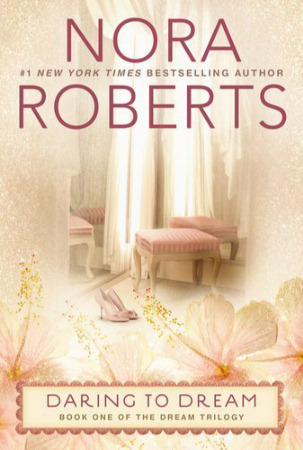 After losing her family, her fiance, and her faith, the disappearance of her fortune is the last straw. Now, masquerading as Miss Eliza Sumner, governess-at-large, she's determined to find the man who ran off with her fortune, reclaim the money, and head straight back to London. Much to Mr. Hamilton Beckett's chagrin, all the eyes of New York society--all the female ones, at least--are on him. Unfortunately for all the matchmaking mothers and eligible daughters, he has no plans to marry again, especially with his hands full keeping his business afloat and raising his two children alone. When Eliza's hapless attempts to regain her fortune put her right in Hamilton's path, sparks instantly begin to fly. The discovery of a common nemesis causes them to join forces, but with all their plans falling by the wayside and their enemies getting the better of them, it will take a riot of complications for Hamilton and Eliza to realize that God just might have had a better plan in mind all along. What I liked: I liked how it read quickly for me and it was full of fun and engaging characters. What I didn’t like: That you have to wait for the rest of the series. Overall Impression: Jen Turano is a new author and I can say that I will be reading more of her books in the future. I enjoy reading the story from both Eliza’s and Hamilton’s points of view. To me this seemed to make the book read a little faster. If you are looking for a funny fast read with a little suspense thrown in then this is the book for you. I liked how Eliza who was a “Lady” took it upon herself to investigate who stole her inheritance and went to go find them. Along the way Eliza meets Agatha who becomes her partner in crime. I can’t imagine going from being a Lady to a Nanny and in a new country to boot. After Eliza meets Hamilton they decide to work together as they are looking for the same enemy. You will also see how they grow closer to each other while on their “journey”. I know a few of the people we have met along the way will be in the future books in The Lady of Distinction Series. 4 Stars for me. Today I am going to take a break and post something other than a review. I am going to try and get a little better at blogging and maybe in participate in a few memes even. I am going to write out book related things in between the reviews just to keep my blog fresh and new. You may also be seeing some changes to the way my blog looks as I am due for a change. My first post is going to be about book hype. What do I mean by book hype? When a book is claimed to be the best book published and everyone says you must read it and/or all the reviews of the book are top notch. How do you feel when everyone thinks a book is the greatest thing since sliced bread and then you pick it up to read and don’t like it? I have had this happen to me more than one time. When this does happen to me I feel really bad that I don’t like the book especially if it was recommended to me by a friend. One book that this has happened to me with is The Art of Racing In the Rain by Garth Stein. Everyone I know who has read this book fell in love with it and just raves about how it touched them and you gotta read it. Well I loved Marley and Me by John Grogan, so I thought I would try this book too, I read the cover and it sounded like something I could get into. Well I was wrong. I am sorry to say I just really did not like this book. To me it was boring, very hard to get into and kind of choppy. I finished the book though because I was hoping that it would get better. I felt ashamed to say I did not like this book and to this day (two years later) when someone mentions this book and how much they love it I just clam up and don’t say anything. Of course I mean no disrespect to the author or those who love the book, this is just my opinion and the book was not for me. Another thing I find myself doing with some books is that I will build the book up so much in my mind about how good it is going to be because I want to read it that bad, that when I finally start the book I feel let down and struggle with reading it. In this instance I want so much to like the book and to finish it that I try my best to plug away at it and hope it lives up to my expectations. Sometimes I am able to finish the book and like it and other times I just can’t make it thru it. I am having that issue with the book I am reading now. 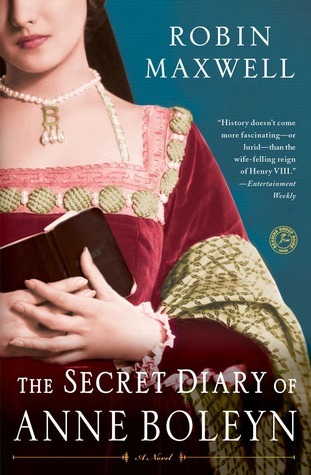 I so wanted to read The Secret Diary of Anne Boleyn by Robin Maxwell. The book has good reviews and I love all things about Anne Boleyn so I hemmed and hawed and finally decided to get the book because the more I saw it the more I wanted to read it as it sounded like a great book. While I do enjoy reading about Anne and Elizabeth I am finding it hard to get thru the book. I know it is all in my head so I keep plugging away at it. There have been a couple of times I have almost put the book down but I am going to finish it. There are many parts of the book I am enjoying but there are also some very dry parts and I think that is why I feel I let myself down with this book. Has this happened to you? What are your experiences with book hype, whether it be your own or the public’s hype. Have you ever not read a book because everyone else liked it? I have because I know in my crazy mind I will have myself not liking the book. I can think of a few I have done this with – Harry Potter, Twilight, (they are not generally my genre either) and 50 Shades of Grey. What are some of yours? How often do you take reviews into consideration when reading a book? As you know by now I have been helping to promote the great new book by Tricia Goyer and Ocieanna Fleiss - Love Finds You in Glacier Bay, Alaska. When I picked this book up I was excited to be one of the lucky people who got to read and review it before it came out. I could not put this book down. I read it in just one day. Check out my review here. Well now is your chance to win this book. Margo Sullivan had everything a young woman could ask for. But while growing up along the rocky cliffs of Monterey, she couldn’t help but dream of bigger things. The daughter of the Templeton’s stern Irish housekeeper, Margo had been treated like a member of the family. Deep down, she knew that money could not buy the thing she craved most—her mother’s acceptance. Maybe things would be different if she could be sweet like Laura—or had Kate’s shrewd head for business. But all Margo knew how to do was be Margo, and that meant doing things her own way—no matter what the consequences . . .
Why I read this book: I picked up this book because the cover caught my eye. I have also read a couple of other books by this author and have really enjoyed them. What I did like: I liked the theme behind this book. Once again we have a series of book by Nora the centers around the close friendship of three friends and we one friend that is the main character in this story, which I enjoy. What I didn't like: I did not like the way that the main character Margo was such a "flighty" person. It seemed like no matter what Josh or anyone would do for her should would push away the chance to be happy. This book seemed to have a kind of depressing feel to it at times because of Margo always looking for more. Everyone believes the police investigator, who's just fixin' to link Tori to the murder in a love triangle gone bad. To clear her name, Tori will have to rely on her new sewing sisters and stitch together the truth- or be darned. 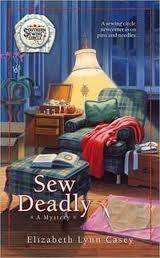 Why I read this book: I am a cozy mystery fan and am always wanting to try new series that I find. What I did like: I like how the this took place in a small town. I also like how the main character is a librarian and a lot of the book took place there. One other thing I like is how there was mention of Laura Ingalls Wilder a lot in this book, she has always been one of my all time favorite authors. Overall Impression: I liked this mystery of the town sweetheart murdered and how they tried to pin it on the new person in town. Many small towns are not very welcome to outsiders moving into their town - I speak this from experience as being a new person moving to a small town. One thing I did notice though was in the end the author chose a different was of catching the killer than most cozies I have read. In most cozies the person accused or trying to solve the crime confronts and catches the killer whereas in this book the accused figured out who did it, went to the authorities and that is pretty much the last you heard about it other than a fly by conversation about the feelings of someone close to the murderer. I am not sure I like this. I kind of like the excitement of the the person solving the crime being caught by the killer and then being rescued. I almost thought this book had more of a library feel to it than a sewing circle feel as there was not a lot about the sewing circle, but the people from the circle we main characters in this book. I know this sounds like I am bashing the book, but I am not I truly liked this book and read it in a few days. I liked how Tori and Milo seemed to connect without even trying. Lulu was one of my favorite people in this book and it was fun to watch her transform from a shy little girl to someone who is excited about reading. Margaret Louise was a hoot - she told it like it was and became a true friend to Tori. I love how Leona and Margaret gave Tori tips on living in the South. I felt bad for Tori and some of the things she had to go thru and basically alone since she was new to town. In the end all works out and the town is happy again. I am giving this book 4 stars. 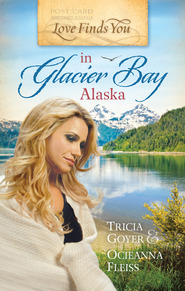 Believing that one good love story deserves hearing about another a few bloggers have got together and are giving away one physical paperback copy (ARV $10) of Tricia Goyer and Ocieanna Fleiss' new book <em>Love Finds You in Glacier Bay, Alaska.</em> This giveaway will run from January 1st, 2013 at 12:00am EST until January 8th at 12:00am EST. Instead of entering for yourself you will be nominating a friend to win this new book by Tricia Goyer and Ocieanna Fleiss. Don't worry though next week more bloggers are giving away copies of Love Finds You In Glacier Bay, Alaska, that you can win. ** In nominating them tell Tricia and Ocieanna why they should win this book. Do they dream of going to Alaska? Have a special love story like Ellie and Clay or Ginny and Brett? 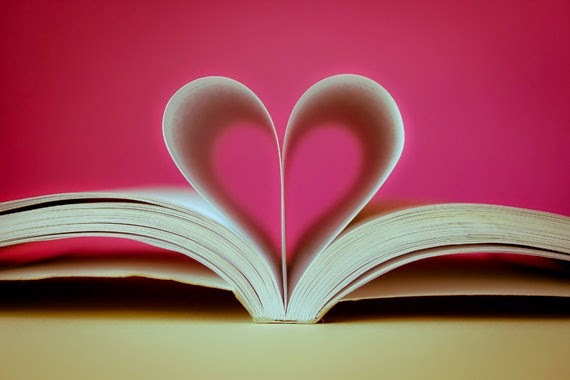 Have they been instrumental in your love story? Have they encouraged you in your marriage? How to Enter: Please leave a comment on this blog complete with your name, email address, the person you are nominating and why you think they should win this book. If your comment is chosen you will be required to give the address of the person you are nominating so the book can be mailed to them. Please read the rules for this giveaway. Please click on the link at the bottom of this post to enter the contest. **You will receive extra entries in next week's giveaway hop if you comment on my blog nominating a friend. 1.) 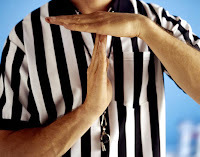 Those who enter by leaving a comment agree to these rules. If you do not agree, do not enter. 2.) This giveaway are open to US and Canada residents to persons 18 years of age and older unless otherwise noted or prohibited by your state. Description and approximate retail value of prize is included in giveaway post. No purchase necessary. 3.) Entry must be submitted by 12:01am EST of specified date. 4.) The winner is selected by the authors Tricia Goyer and Ocieanna Fleiss. Odds of winning depend on number of entries received. 5.) Winner is notified by email and posted on the giveaway post. Winner must claim their prize within 48 hours or a new winner will be selected. 6.) Winner must provide a valid mailing address, excluding P.O. Boxes. for prizes shipped by the sponsors. 7.) One entry per person. 8.) This giveaway is NOT associated, sponsored nor endorsed by Facebook or Twitter. 9.) A Jewel In The Making and the LFYIGBA Pay It Forward Giveaway bloggers are not responsible for sponsors that do not fulfill this prize. We have represented the sponsor with the expectation they will fulfill their prize and in a timely manner we will contact the sponsor regarding your prize. The sponsors, in most cases, are shipping the items to you directly. 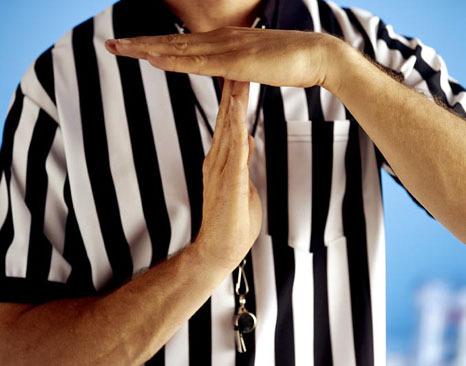 We cannot be held responsible for lost, damaged or undelivered prizes. We will make every effort to assist you obtaining your prize. If there is an issue with a sponsor please notify me within 30 days for assistance, after that I may be unable to assist you.